Ideally located in the heart of The Farm, this home provides abundant lifestyle choices while maintaining a refreshing haven. Upon entering the home you feel the sense of comfort and relaxation. Generous entertaining options both inside and outdoors. Featuring a large gourmet kitchen with updated appliances, adjacent to the generously sized great room, Outdoors features a custom paved patio and path (with a lifetime guarantee) and for your convenience a gas line for your grill, a barbeque paradise. The comfortable second-floor family space hoasts a private family loft and ample bedrooms. Large master bedroom with huge closet. You will feel confident knowing there is sufficient space for family and guests to relax. 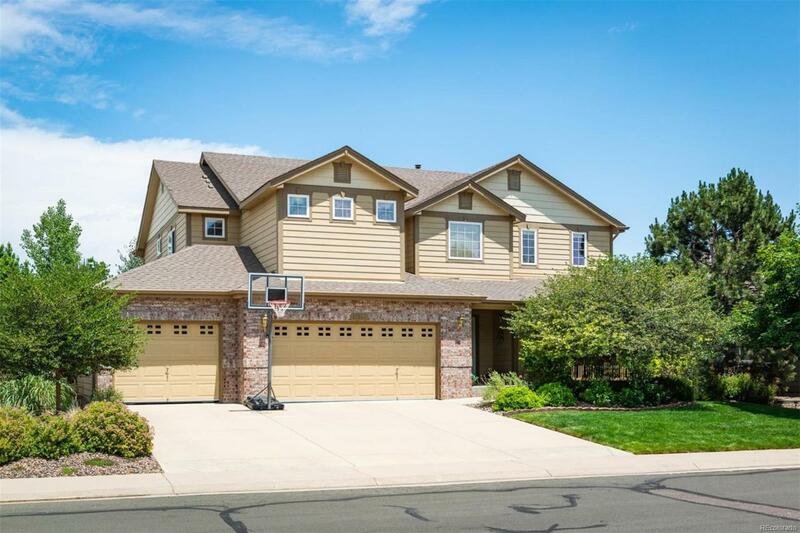 Cherry Creek Schools, 4-Car Garage, Hardwood Floors, Formal Living, Great Room, Loft, Mature Landscaping, Water softener, Two Fireplaces, Two New Water Heaters, and much more. Nearby parks include Hutchison Memorial Park and Big Sandy Park.